When we are young, our faces look full and wrinkle-free because we have plenty of collagen and elastin. The visible signs of aging begin to appear as the face loses its collagen and elasticity. A liquid facelift is a great treatment for restoring this lost volume, providing you with youthful facial features once more! 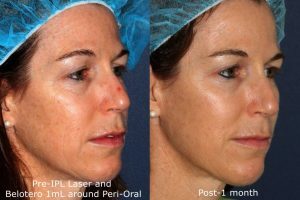 During your liquid facelift consultation, on of Cosmetic Laser Dermatology’s skincare experts will discuss which issues you want to correct and decide on the best treatment plan. In general, a combination of dermal fillers, like Juvéderm, Restylane, Radiesse, or Sculptra, are combined with Botox or Dysport injections to achieve the patient’s desired results. The fillers are used to add volume back to the face and to smooth out unwanted wrinkles and furrows. Expression related creases (like crow’s feet or 11-lines) are treated with Botox or Dysport, which relaxes the muscles and reduces the appearance of wrinkles. This combination flattens wrinkles as well as tightens up loose skin, giving patients a more youthful appearance. 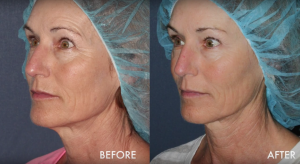 A liquid facelift is a great option for patients who do not have severe volume loss and sagging or patients who do not want to undergo a surgical procedure. The results of a noninvasive combination treatment are usually visible immediately after the treatment (unless Sculptra is used, which takes a couple of months to appear) and require minimal downtime. Our doctors’ expert techniques provide patients with natural-looking results. Many of our patients tell us they receive compliments on their “well-rested” appearance, but friends and family can rarely tell that they have had work done. Q: How is this procedure performed? A: First, you will have a consultation with one of our cosmetic dermatologists, who will design a treatment plan that will address your specific anti-aging needs and goals. Our doctors will determine the best combination of dermal fillers and Botox to rejuvenate your face. The treatment itself will be performed in our San Diego office. Filler injections will be used to smooth out the wrinkles you have, while the Botox injections are used to relax facial muscles to prevent new wrinkles from forming. Depending on the number of injection sites and the injectables used, the treatment can be as quick as 30 minutes or as long as an hour. A: Patients generally only need one treatment to achieve the desired results. 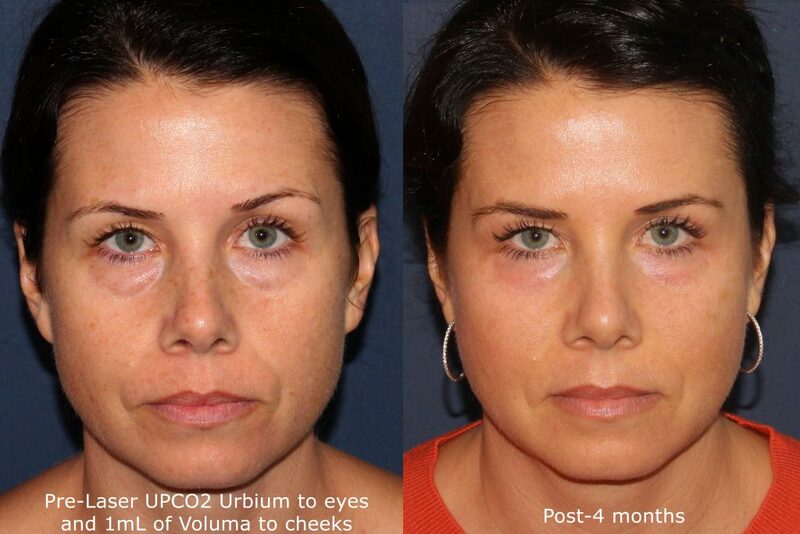 However, if Sculptra is used, you will need a few treatments before you see the full effects. 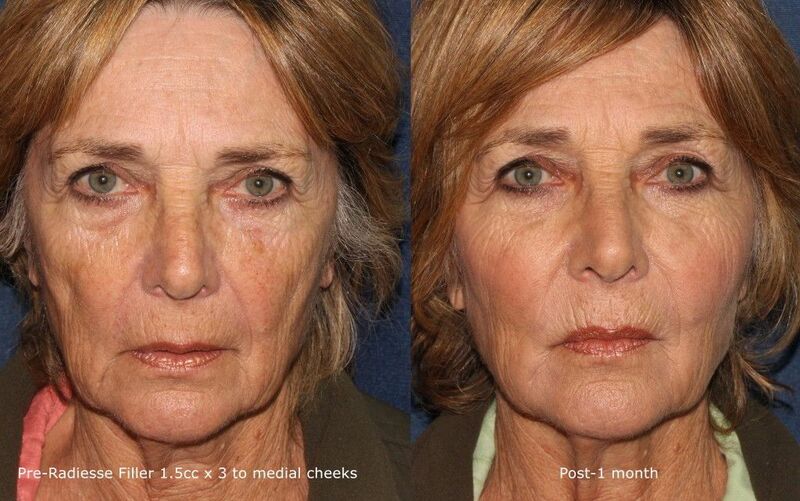 Also, keep in mind that the results of a liquid facelift are temporary. You will need to come back for touch-up treatments as the injectables begin to wear off. A: You will see results almost immediately, but this depends on which injectables are used. In general, you can expect to see full results within a week of the treatment. Botox and Dysport take a few days to take effect. If hyaluronic acid fillers like Juvederm and Restylane are used, you will see the results immediately after the treatment. If Sculptra is used it will take a couple of months before you see full results because the volume is not created by the product itself, but by Sculptra’s ability to stimulate the body’s own production of new collagen. Q: What injectables are used in a combination treatment? 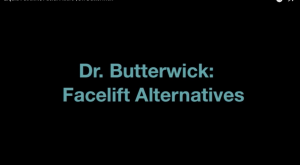 A: The injectables used in a liquid facelift depend on the patient’s individual needs. Any combination of temporary hyaluronic acid fillers (Juvederm and Restylane), long-lasting fillers (Radiesse and Sculptra) and neurotoxins (Botox and Dysport) can be used to rejuvenate the face. Q: Can fat grafting be used? A: Yes, fat grafting is another option that can be used in a liquid facelift. 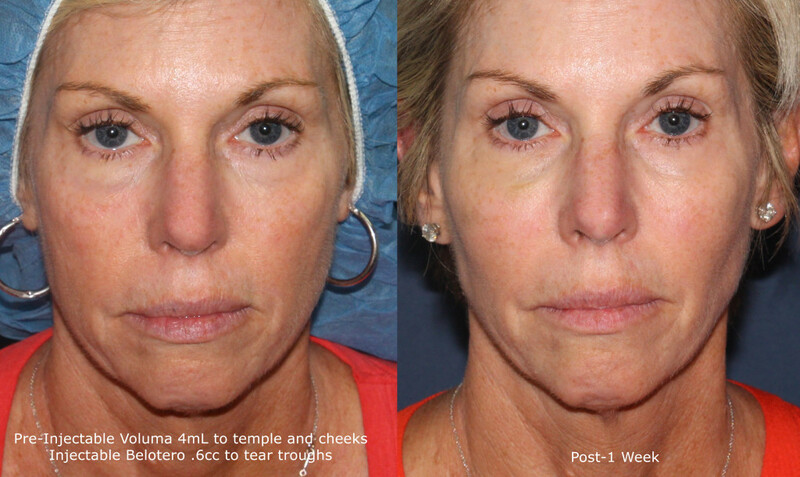 A multi-level fat transfer is a longer-lasting alternative to injectable fillers. The fat that is harvested from another location on your body is injected into your face to replace lost volume or contour the face. Fat grafting is a very specialized procedure and our doctors are known experts for their technique. Q: How much recovery time should I expect? A: Since this is a nonsurgical procedure there is minimal downtime. Most patients are able to return to work or their normal daily activities immediately after the treatment. You may experience some redness or swelling at the injection site, but this can be covered with makeup. A: The duration depends on which fillers were used in the procedure. Hyaluronic acid-based fillers (Juvederm and Restylane) can last from 6-12 months, while the semi-permanent fillers (Radiesse and Sculptra) can last up to 2 years. Botox and Dysport generally last up to 6 months. You can come back for touch up treatments as the effects start to wear off so that you can maintain your youthful look. A: The side effects are minimal. However, common side effects for most injectables can include localized pain, bruising, inflammation, redness, itching, bruising and/or swelling. A: Since each patient’s personal treatment is customized to his or her individual needs and goals the cost varies. To find out the cost, set up a consultation with one of our dermatologists. Fat grafting is another alternative for a liquid facelift and provides wonderful results for facial rejuvenation. Please schedule a consultation with the skincare experts at Cosmetic Laser Dermatology today. During your consultation, we will discuss your individual treatment goals and results and help you choose a procedure that’s right for you.